Getting Gost In Kolkata, The City Of Joy. | Travel Photography Blog by Nisa Maier and Ulli Maier. Getting Lost In Kolkata, The City Of Joy. 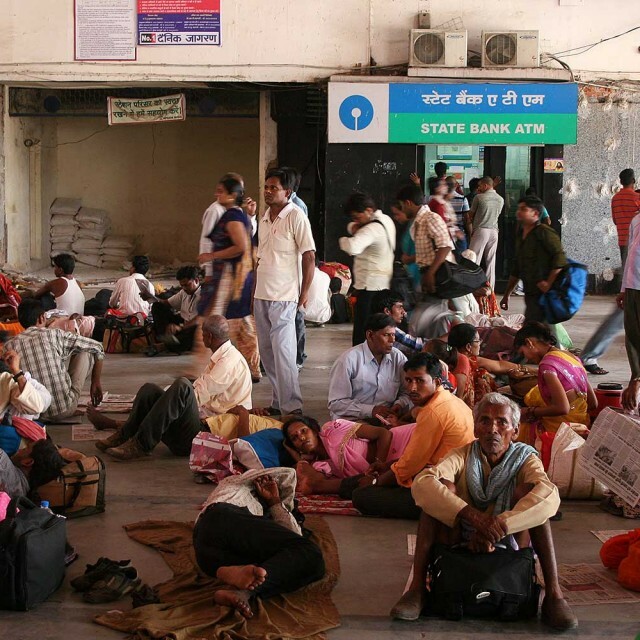 We were already warned in the train that our arrival in Kolkata would clash with the 24 hour taxi strike. If you arrive in Howra train station, this is pretty bad news. Why? Because as a traveller you don’t (usually) have a private car and the tuk-tuks are not allowed to cross the bridges over the Hooghly river … this means that you’re stuck! Anyway, we didn’t find the flower market but we ran right into the wholesale fruit market of Kolkata, where trucks from all over India, Pakistan and Bangladesh arrive with all kind of fruits that are auctioned off right on the spot. That day, it was banana and orange day. We had to maneuver through piles of banana stalks and oranges and every few meters was a selling area, where auctioneers auctioned off all the fruits with megaphones. All of this action happened in light rain which transformed the road to mud mixed with cow dung … Not the most pleasant walkway. At the end of the day, we were pretty exhausted and happy to land in bed at our lovely hotel. 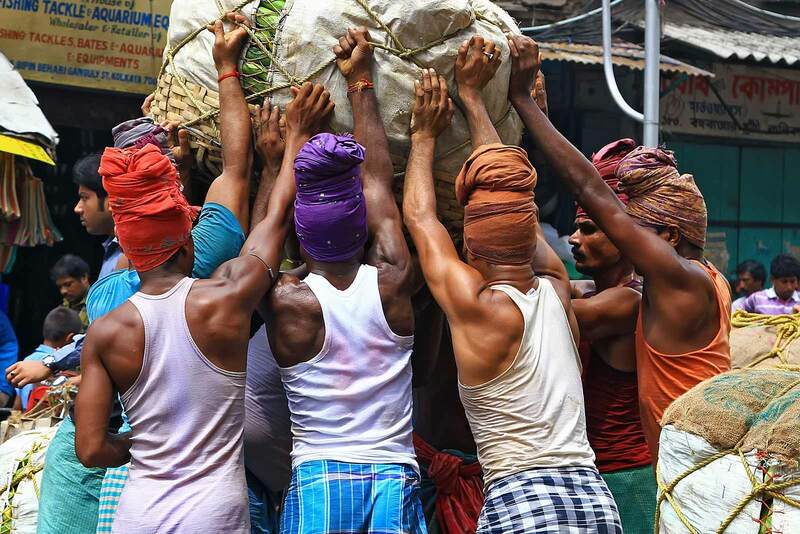 Pure manpower at the wholesale fruit market in Kolkata. 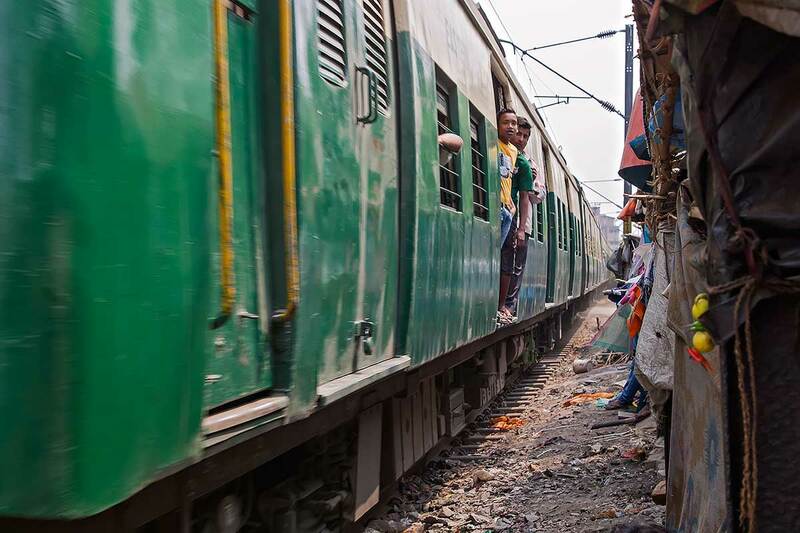 The railway tracks lead right through the Slum area in Kolkata. 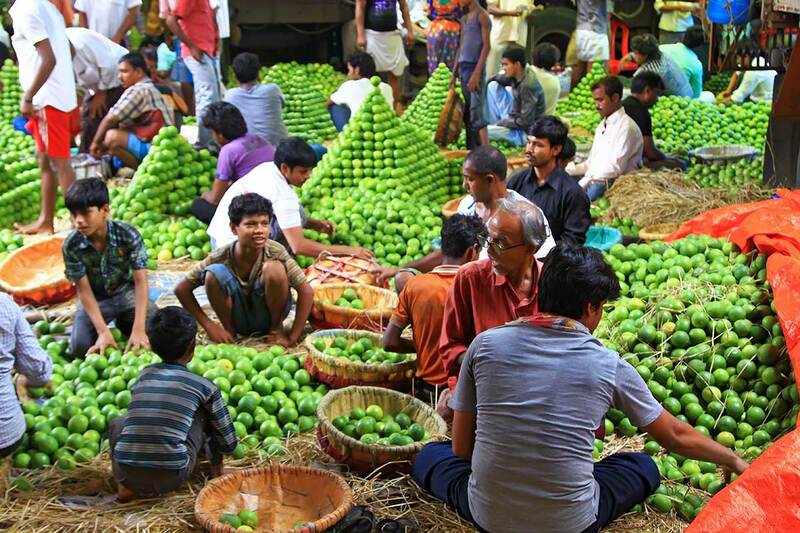 A typical market scene at the wholesale fruit market near the Howrah bridge in Kolkata. 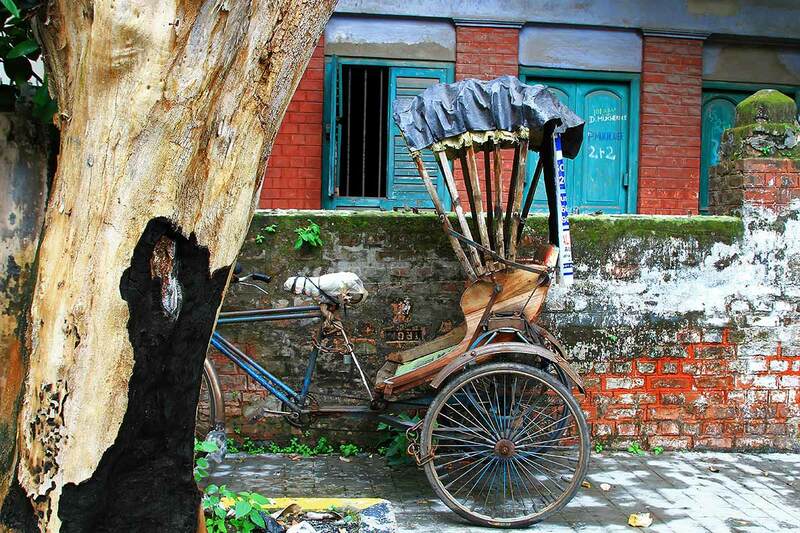 Rickshaws can be seen all over the city of Kolkata. 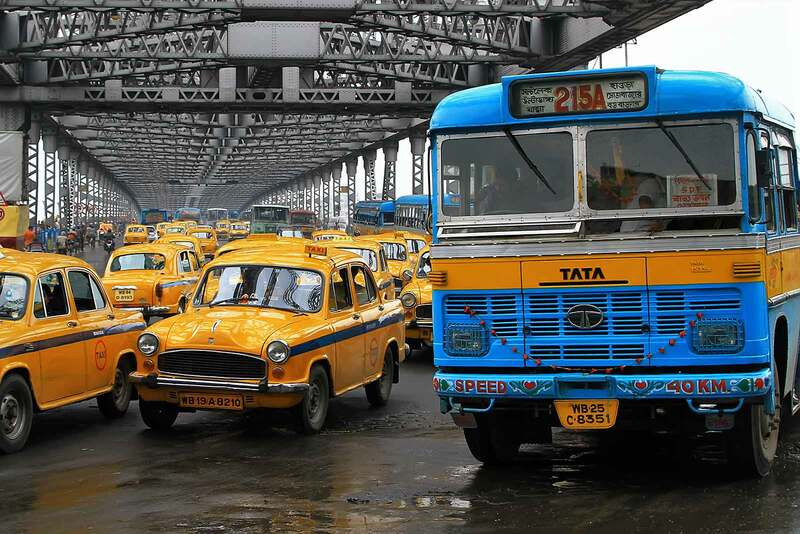 Thousands of taxis and buses cross the Hoogly river on Howrah Bridge every day. 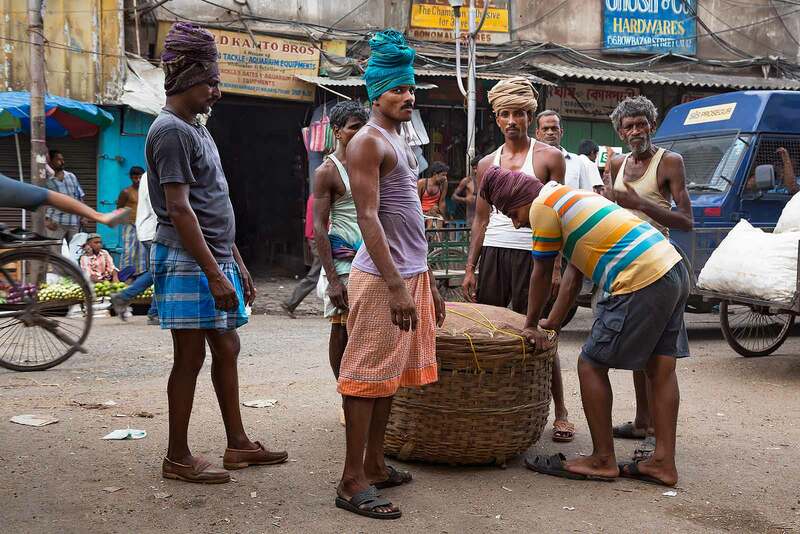 Men washing themselves in the streets of Kolkata – a typical street scene. 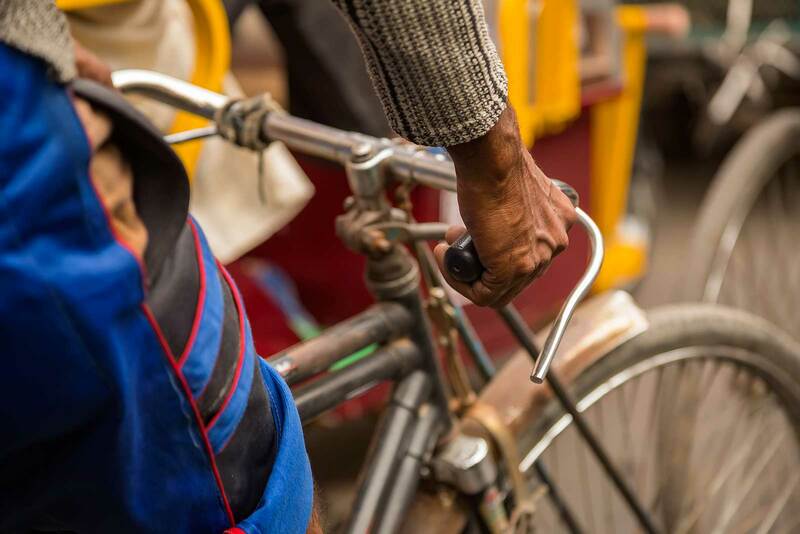 The hands of a Rickshaw driver in Kolkata. The Victoria Memorial Hall was built between 1906 and 1921. 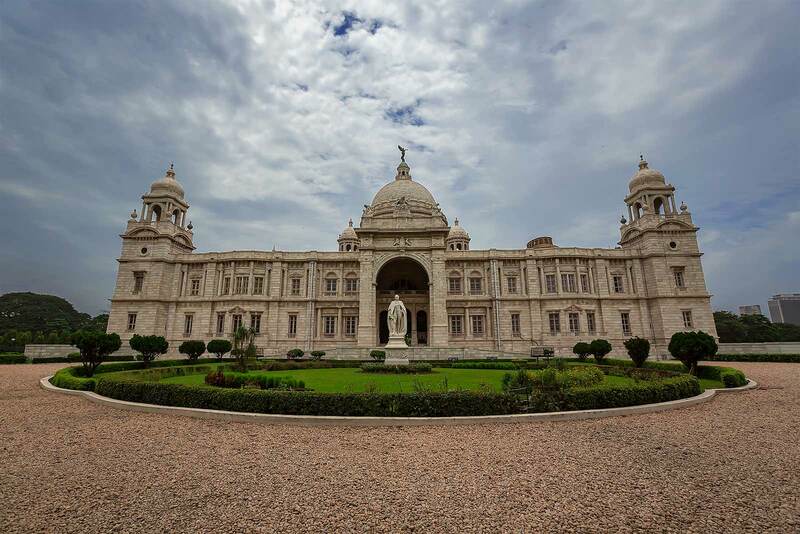 It’s dedicated to the memory of Queen Victoria and is now a museum and tourist attraction in Kolkata. 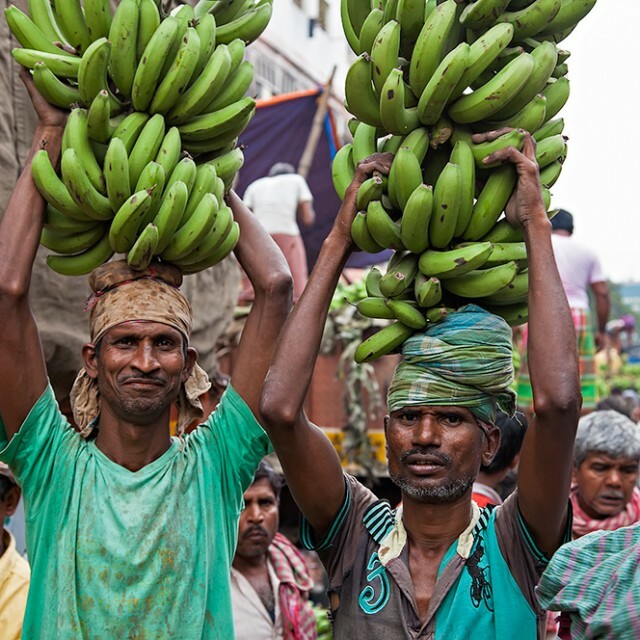 Working men at the fruit wholesale market in Kolkata. 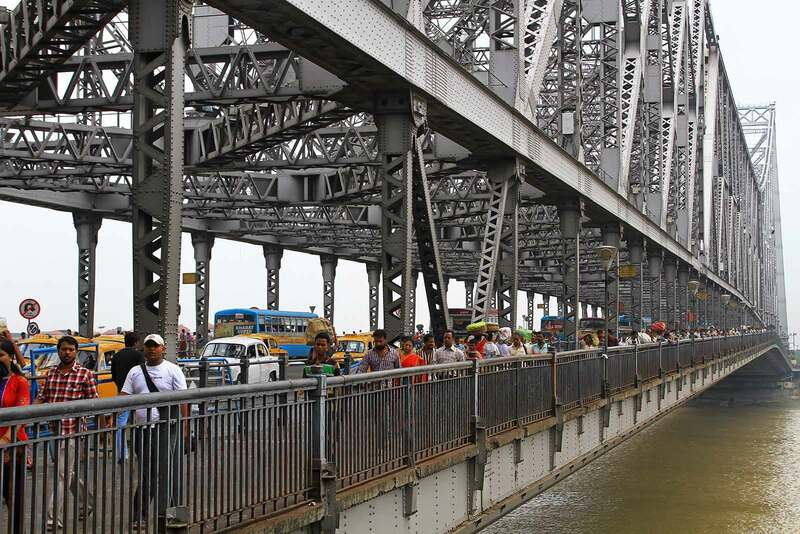 Crossing the Hoogly river on Howrah bridge in Kolkata, India. 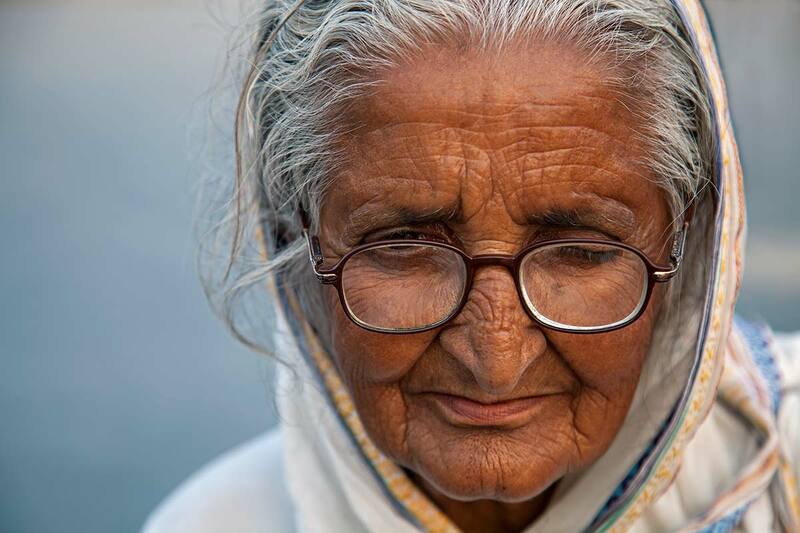 Portrait of a nun’s in the streets of Kolkata. 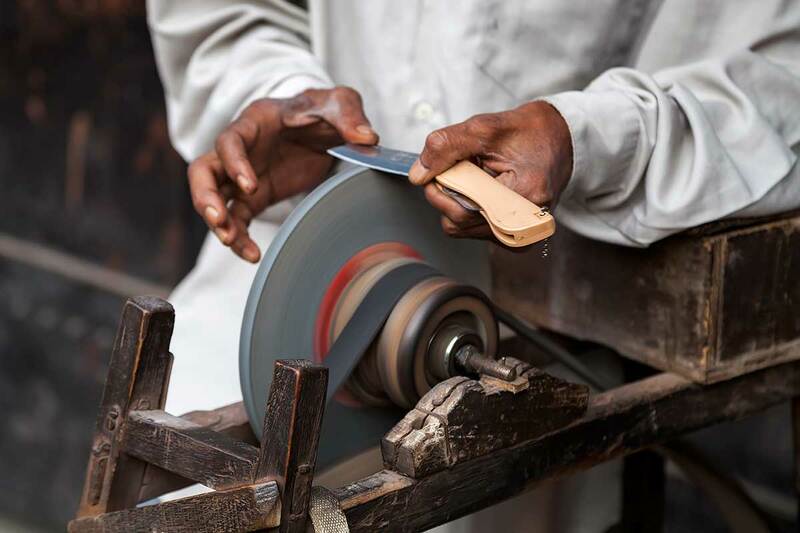 Knife sharpeners can be found all around the city of Kolkata. 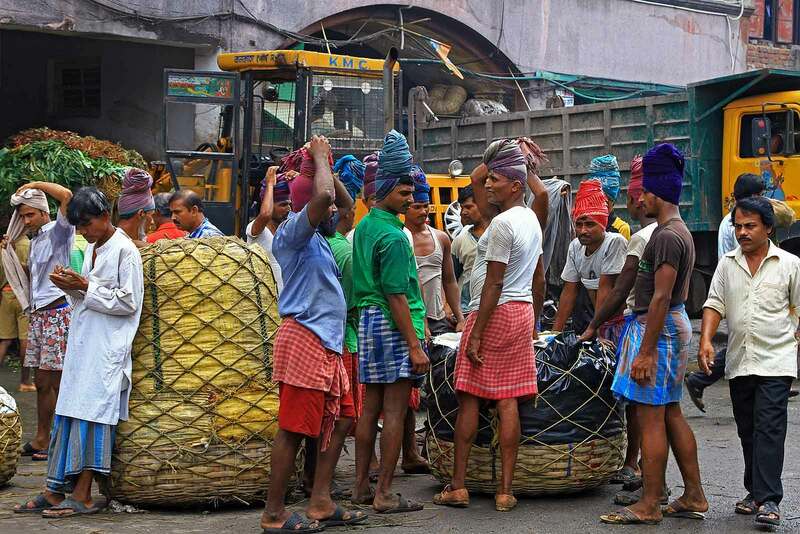 Working men at the orange section of the wholesale market in Kolkata. 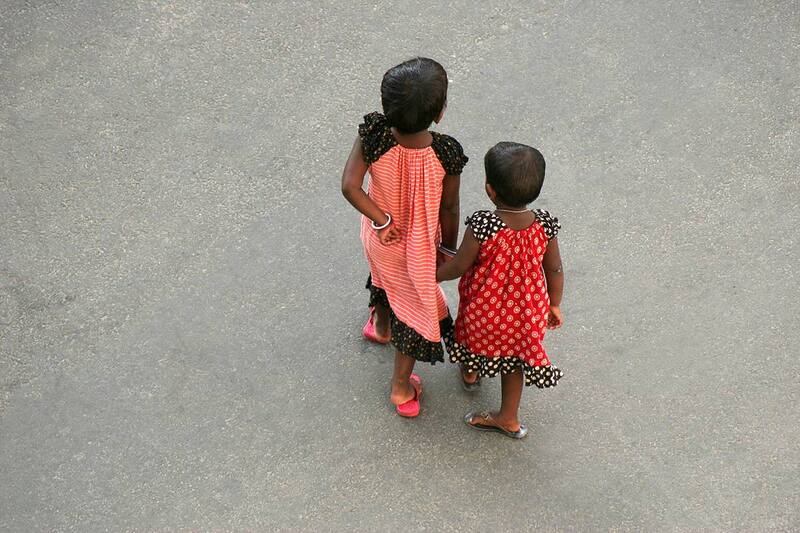 If grinding poverty hurts your sensibilities, Kolkata is not the place to be in. 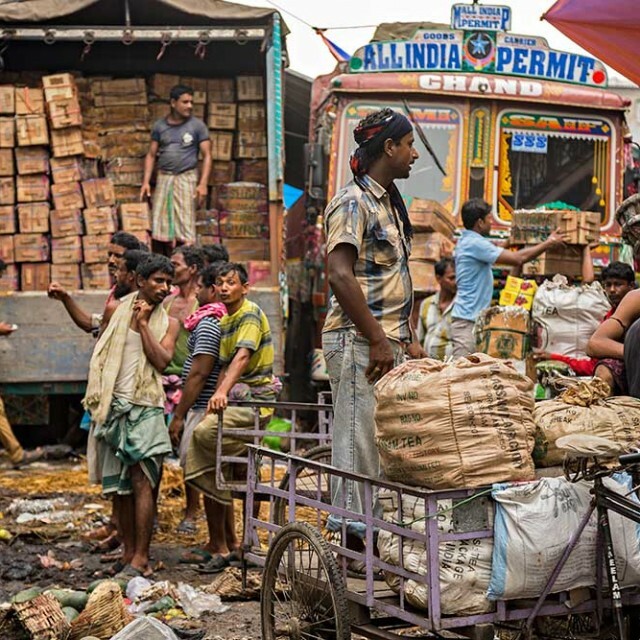 If grinding poverty hurts your sensibilities, Kolkata is not the place to be in. 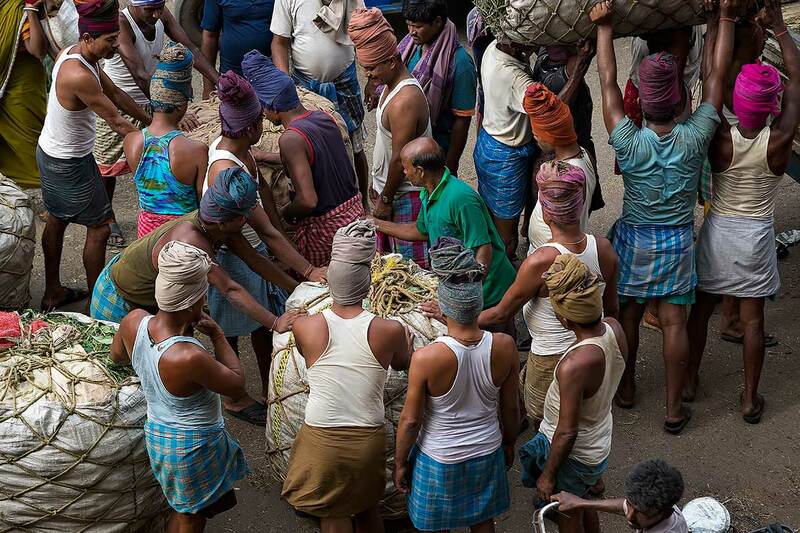 Getting ready to lift up a heavy pile of vegetables at the wholesale market in Kolkata. 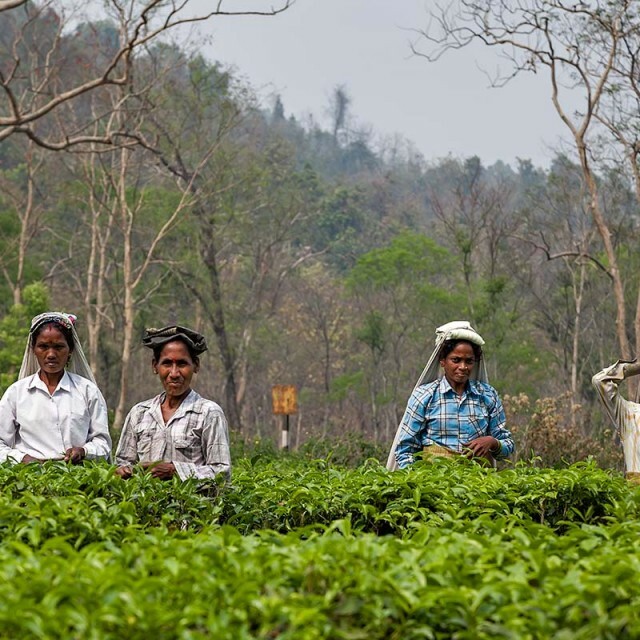 The Guys Who Keep The Food Chain Running In West Bengal.